The 2012 baseball season had not gotten off to a good start for the San Francisco Giants. Despite racking up 23 hits and 14 runs over their first 3 games in Arizona, the Giants were looking at an 0-3 record after the first series of the young season. The Giants were good, but not good enough as all 3 games against the D-Backs were decided by just 1 run. Heading to Colorado with fourth starter Barry Zito taking the ball did not give Giants fans hope for ending the skid. After all, this was the same Zito who Giants fans were frustrated with after he signed a 7-year $126 million dollar contract. 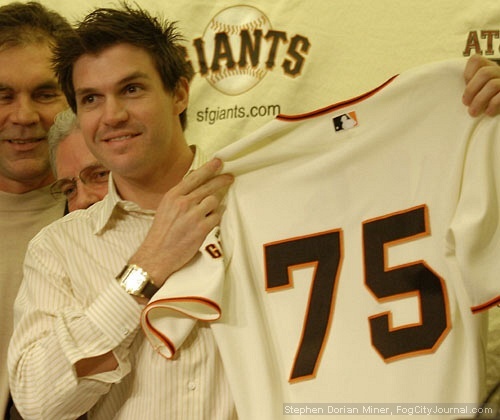 In 5 years with the Giants, Zito amassed a 4.55 ERA and a 43-61 record in 140 starts. Things had gotten so bad that after he returned from the DL with a foot injury in late 2011, Zito pitched out of the bullpen. 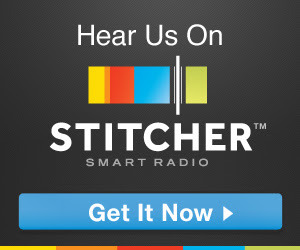 Episode 75: We’re Going to the World Series! Unreal. The San Francisco Giants have won the National League Pennant and are in the World Series for the third time in the last five years. You can download episode 75 here, or stream it below! Incredibly, our boys in black and orange have done it for a third time in five years! In a rousing 4-1 NLCS win over the St. Louis Cardinals, the Giants move onto the fall classic to face the young upstart Kansas City Royals beginning Tuesday night. Willie, Ben, Chad and guest Eric Nathanson review the NLCS, including the momentous homeruns hit by Michael Morse and Travis Ishikawa that have left indelible marks in Giants’ lore. In the last half of the podcast, we preview the Royals, their strengths and weaknesses, and how the Giants might exploit them. We also talk about Hunter Pence’s lack of geography knowledge, a horrible ESPN article, our favorite guys and we make series predictions (hint, all 4 of us take the Giants). Tune in for a jam-packed special World Series episode of the TortureCast! 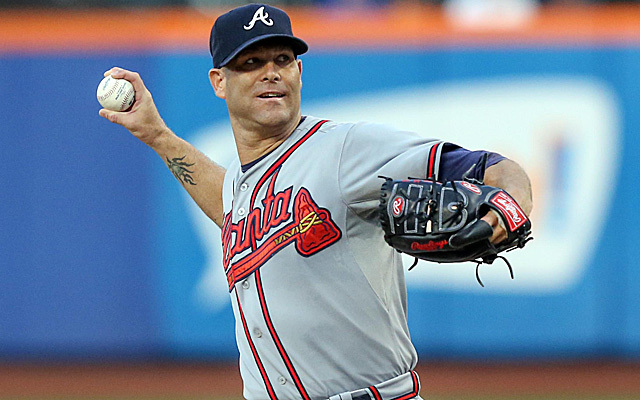 Giants signed Tim Hudson to a 2-year, $23 million deal yesterday. The Giants announced yesterday that they had signed 38-year old veteran right-hander Tim Hudson, to a 2-year, $23 million deal to shore up their starting rotation, which is currently comprised of Matt Cain, Madison Bumgarner, and Tim Lincecum. This is a great move for the Giants. He doesn’t come cheap, but when you consider his salary and performance compared to what Zito and even the last two years of Lincecum have given the team for their salaries, it’s most likely going to be a better deal. Hudson may also be a mentor to Lincecum, with a similar fastball velocity and having learned to pitch to his strengths and hitters’ weaknesses. Hudson owns a career 3.44 ERA, and the last 3 years his ERA has ballooned (3.22, 3.62, 3.97), which may be cause for some concern, although last year’s freak ankle injury cut short his season. Even a 3.97 ERA puts him ahead of 2013 Lincecum, Vogelson, and Zito. That just leaves the 5th starter for a team that has won 2 out of the last 4 World Series (one reason Hudson signed with SF, he wanted to get past the first round, an affliction of the Braves). Within the organization, they only have Yusmeiro Petit to look towards, but they can still reach out and, for relatively cheaply, sign Chad Gaudin and/or Ryan Vogelsong. Now, there are rumors that Vogey is quite miffed by the Giants declining the $6.5 million option, but after last year’s disappointing season, you can’t blame the team. They still can sign him for a smaller amount, but it remains to be seen whether or not he would accept that or similar dollars elsewhere. Bronson Arroyo has also been rumored to be quite interested in signing with the Giants, but is looking for Lincecum-type salary ($17 million/yr) and has been quite vocal at only entertaining a 3 year deal, not 2. This is a stretch for the Giants. They have the cash for him, but it may not be wise to extend it to 3 years, and the cash may be better suited to a free-agent outfielder acquisition or later for a mid-year trade/cash deal. Arroyo’s ERA hovered near 4.00 the last 2 years, and was a stratospheric 5.38 in 2011. Giants’ Assistant GM Bobby Evans has indicated that they may not make a move for an outfielder this offseason, but both he and Sabean have been clear about acquiring another starting pitcher. This is not for a lack of cash, they have about $140 million committed so far for 2014, and can spend a bit more, but there is currently a lack of outfielder supply. They may be better served waiting for a mid-season trade to pick up a hot outfielder for cash and prospects. Sabean has also said that Posey will not make the move to first base this year. This nullifies some fantasies of Posey moving to first base and Belt to left field. This may happen on an occasional basis, of course, but not as a permanent solution. I personally think it’s a bit too early to move Posey. He’s too valuable behind the dish, and has melded quite well with the staff. He may be just an average first baseman, both statistically and defensively. Of course, they could always sign Brian McCann to don the tools of ignorance, and then make the Posey/Belt shift. Hmmmm….. Hot stove is heating up! Hey, it’s not a Bonussode! (which are totally great, btw, you should probably listen to them). Willie, Ben and Chad wrap up the disappointing 2013 season to talk about why they “didn’t win it all,” what they need to do in the post season, and our playoff predictions. Don’t worry, we’ll have occasional podcasts and blog posts during the off-season, especially has the hot stove gets a bit warmer. The Giants brass has a lot of work ahead of them to fill the rotation, address bullpen depth, and get a solid left fielder, and we’ll be here to talk about it. Originally, we thought we’d witness Lincecum’s possible final start in the orange and black, but Bumgarner has been shut down for the year, and Timmy’s start was pushed back. Instead, we’ll be witnessing Zito’s final curveballs tossed in a Giants uni. His contract was highly criticized, even back in 2007, but more so in the latter years. Sure, he didn’t live up to the Scrooge McDuck-sized pile of money, but he had key starts down the stretch in 2010 that helped them secure the West on the final day of the season, and of course, his proverbial highlight as a Giant is NLCS game 5 in St. Louis. As Giants fans, I think we can all agree that it’s certainly probable that the Giants wouldn’t have two titles, and possible they wouldn’t even have one if it weren’t for Zito. That is worth $126 million to any Giants’ fan. Ben, Willie, and myself will be up in the press box tonight and Ben and Willie will return to the box again this Saturday against the Padres. Tweet us a line @TortureCast. See ya at the yard! 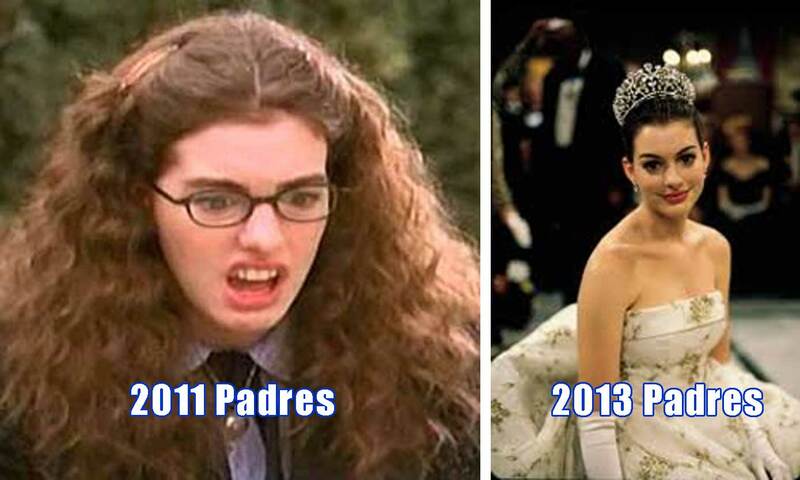 Remember that horrible movie from 2001, “Princess Diaries?” Yeah, the Padres are just discovering that they are some long-lost royal blood line and just needed a little make up, hair, and braces removed to be noticed. Well, they have my attention. They are sitting just a half game back of the Giants, and two games behind the first-place Diamondbacks, whom they just swept. This is not a typo. I thought my iPhone was crapping out on me, so I referred to my desktop. Same standings. I triple-checked that it wasn’t 2010. Yep. An alternate title to this post was, “The Padres are Like Your Ugly Ex-Girlfriend From High School,” but I thought it was a little harsh for a tag line. Therefore, you can send me your hate mail now, but of course, you’ve had to have read this far, so hell, I just thank you for taking the time out of your day to do so. We haven’t seen the Padres over .500 since 2010 when the Giants were battling them down to last day of the season to seal that fateful ride to their first San Francisco World Series Championship. So, we forgot about them. Dumped them after the season since we had our shiny new rings and Tiffany-made trophy. The Padres became an afterthought, left to their single life of living with their parents and getting on and off Weight Watchers about as often as Pablo Sandoval fractures small bones in his appendages. But alas, they have pulled off the transformation, without the 90 second movie-montage. Wait, I’m comparing the Padres to a woman? Back on track for a moment. The Giants blew a golden opportunity on Saturday, but two walks and an error in the 9th tend to lose ballgames for you. That win would have secured a winning road trip, and what a tough road trip it was. Instead, they played flat yesterday, and couldn’t pick up Lincecum and is technically-qualifying “quality start.” With the starting pitching woes this year, the offense has been their saving grace, and we’ve mentioned it many times before, but there’s only so long the Giants can overachieve with their run production while their number 1, 2 and 3 batters are all out. Pagan might require surgery, and Marco just may “tough it out” and live with a deformed finger, and Panda, well, he…never mind. Let’s just say he has a “slim” lead in NL All-Star voting and leave it at that. Although they hit .315 on the last roadie, that level cannot be sustained. The pitching will have to return, and let’s hope Zito can extend his home dominance (4-1, 1.94) tonight against the Friars. Otherwise, the Giants will be looking at three teams above them. 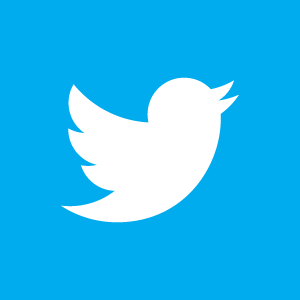 PS – All three of us will be in the press box during tonight’s game versus the Padres, so expect the twitter account (@Torturecast) to blow up. At least one of us will be at the pre-game Bochy press conference. Any questions you’d like to ask him? Send them our way! Willie asks San Francisco Giants’ Pitcher Barry Zito about his awareness of #RallyZito, the fan support during the playoffs (Twitter is still not for Zito), and how the hell he got a hit off of Justin Verlander in the World Series. Fangraphs and SB Nation’s Wendy Thurm, also known as @hangingsliders, sits down with Ben to talk about Spring Training, Bumgarner’s emergence, her choices for franchise players, statistics, and facial hair. Originally recorded shortly before Opening Day.